We all have a vision in our minds when some mentions Las Vegas – usually bright lights, tall buildings and neon signs against a jet black night. So called Sin City, anything goes in Vegas – at least according to the saying. ​Vegas though, is more interesting than simply a mecca for the hardened gambler, or where a person might indulge in their wildest fantasy. 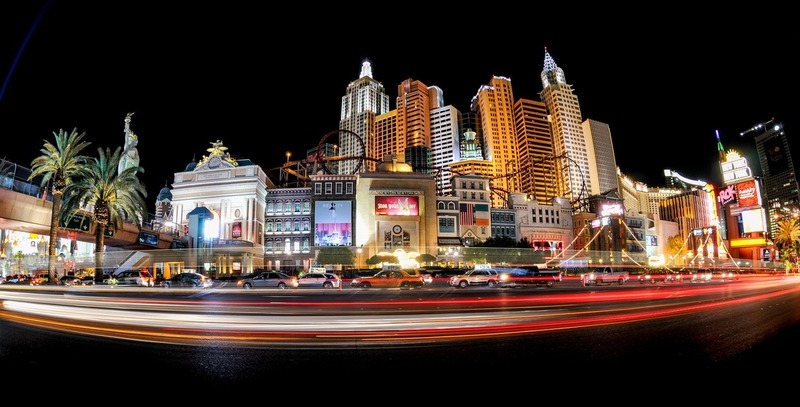 With connections to “The Mob”, the Nazis, and even the 9/11 hijackers, as well as ever increasing genius ways establishments manage to get you to part with your money, Las Vegas is a place full of intrigue and mystery….. Sin City - "anything goes" in Vegas! Although Vegas (and any casino for that matter) very much wants your money, what they really want is your time. Research apparently tells experts in the industry that a person who spends longer in the casino with less money, will overall spend more than someone with more money who is in there for a shorter time. The industry term for this way of thinking is “time on game”. The belief behind the theory is that as the person with less money stays and plays a machine, any “wins” they may accumulate will eventually end up being gambled and essentially given back to the house. A person who is only in there a short amount of time, not only potentially spends less money, if they were to be lucky enough to win, they would in all likelihood take it away with them. There is some further and interesting reading here - especially if you are planning a trip to Vegas any time soon. Walking around any large casino, particularly those in Vegas, is akin to wondering around a maze, and that is no accident. 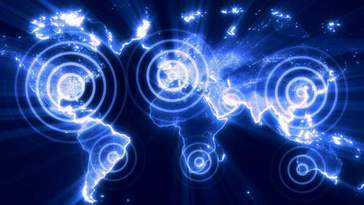 The design and layout of these gambling sanctuaries is geared primarily in getting you in and keeping you there. ​It isn’t just the layout of the machines and the fact you can’t seem to see a door anywhere in sight. 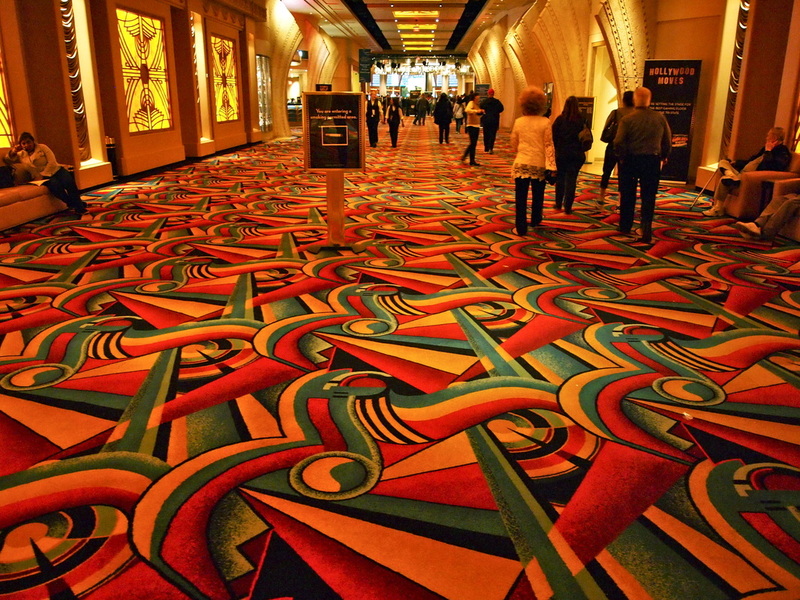 The carpet under your feet is very likely to be made up of bright, sharp coloured patterns – a sight hard to look at and designed to bring your attention straight back to the slot machines and bandits. The same thinking is behind the oft mirrored ceilings. In short there is nowhere to look other than in front or to the side of you – where you will find more opportunities to gamble your hard earned money. You can read about this in more detail here. Think that hideous carpet is just bad taste in interior design? ​You can literally bet on just about anything in Las Vegas, but just by way of giving some examples of casinos giving you more opportunities to hand over your money, in a recent Super Bowl, the bets ranged from the mundane of who would win the game, to the bordering on ridiculous such as will a player cry during the singing of the national anthem. Also in for good measure was such bets as, would the length of the national anthem in total seconds be more or less the final amount of passing yards by the team’s quarterbacks. Perhaps the most bizarre way to be separated from your money that particular weekend would be to have bet on what colour the Gatorade that is traditionally dumped on the winning head coach would be. ​If you have the money, Vegas has a way to “take” it from you. Make no mistake about it, Las Vegas is a gambler’s paradise, but perhaps the attraction of so called Sin City is that there is almost nothing that you can’t do while there. While the bright lights and non-stop action is the heart of the city, the surrounding areas offer a much more relaxing time. From riding wild horses off the beaten track to hand rolling cigars or letting it all loose, including your dinner most probably, by riding The Stratosphere – a ride that rises up to one-thousand feet in the air at its peak. There is even the option – should you feel the need to do so – to fire an AK-47 or an M1A1 submachine gun. This is a real activity and caters to package parties and, perhaps controversially, is open to anyone over the age of twelve (although what the youngsters can fire is limited). Almost as soon as the Hoover Dam was opened in 1935 (then known as the Boulder Dam) it drew the attention of the American public who would venture out to witness what was being hailed as the “greatest dam in the world!” However, as war became increasingly likely in Europe, American intelligence soon sited the dam as being a desirable target for any potential enemies. ​By the time war had taken hold in 1939, this intelligence was acted upon when a specific threat from the Nazis was uncovered. They planned, acting as tourists on a fishing trip, to rent a boat and make their way to the intake towers where they would plant explosives. There was an immediate ban on private boats being allowed anywhere near the dam, which itself was now under armed guard, complete with floodlights and wire netting. Certain areas of the one-time tourist attraction were also put off-limits to the general public. You can read about this in more detail here. Although it could have been for no other reason than the normal reasons anyone goes to Las Vegas, when it was discovered that several of the hijackers of 9/11 attacks had spent considerable time there, their motives were retrospectively treated with suspicion. Conspiracy theories suggest that their rendezvous may even have involved some form of government “contact” – a theory that bears more weight when you realise that the men seemed to vanish from the radar once in the desert city. Perhaps interestingly, it was the four pilots of the hijacked planes who made the trips to Las Vegas, suggesting that it was quite possibly connected to the tragic events that Tuesday September morning. You can check out the short video below which is a news clip on the 9/11 connection to Vegas. It makes a certain amount of sense that the United States military would use land that is all but deserted to test out deadly weapons. They chose an area that comparatively speaking however, Las Vegas’ own back yard to test out its increasing range of nuclear bombs in the 1950s. There was debate as to whether to warn the public that the tests were taking place. However, concerned that the reaction would be one of absolute panic should there be no prior warning, the public were warned to expect a “test explosion” but were not informed when. ​An unintended consequence of these tests was the fact that the public began to take an eager interest in them, even gathering to watch them from a safe distance – which incidentally is miles and miles away. This gave the United States the opportunity to flex its nuclear muscles, and they were soon advertising the tests almost as events as opposed to benign matter-of-act tests. ​The short video below look at some of these tests. Whereas you can still find “Sawdust Joints” off the main strip in Vegas, they are mostly for show and a sense of nostalgia. In the early days of Las Vegas however, they were perhaps the last cry to the American Wild West. Sawdust joints were so called as they typically were rather shady establishments where sawdust was spread on the floor – apparently ready to cover the blood of the victims of any gunfights that might break out at any moment, as well as to soak up beer that may get spilt along the way. 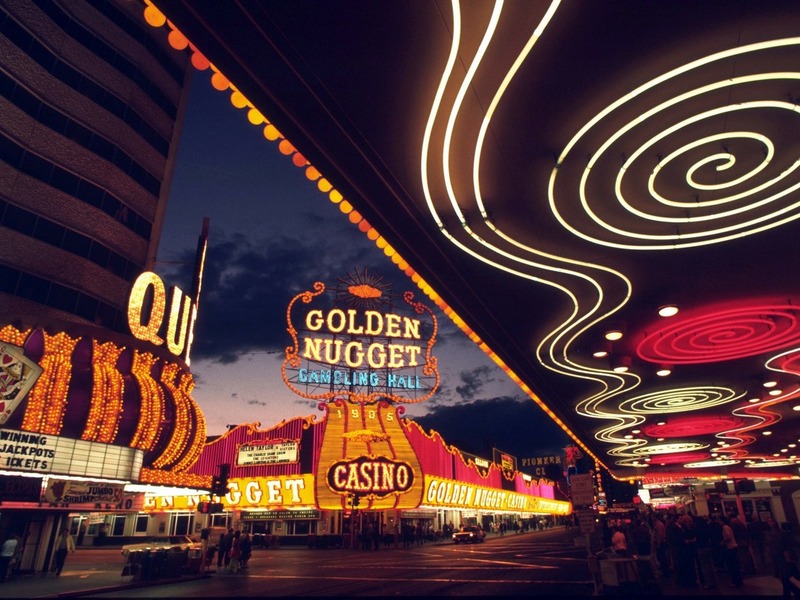 ​Perhaps the most famous of these sawdust joints was a cosy club that opened in 1950 named The Westerner, advertised as being in “Downtown Las Vegas” – the club had various owners until 1960 when it was tamed down somewhat and turned into a Club Bingo hall. Made famous in the inspired-by-true-events film “Casino”, the largest act of “skimming” took place in Las Vegas in the early 1970s. The character played by Robert De Niro was in reality Frank Rosenthal, “manager” of several prominent casinos in Las Vegas. Perhaps most notable of these was The Stardust. Rosenthal had ties to the Chicago Mob, and was well known in Las Vegas Gaming circles. In short, the Nevada Tax and gaming Commission made it clear that he would never be granted a licence to run a casino in Las Vegas. Rosenthal took up several different positions as a front and managed to keep the NGC at bay for some time using this method. It was while working in these phony roles that he oversaw the biggest skimming operation in history. In very basic terms here’s how they did it. As nickels, dimes and quarters came into the “hard count” room they were placed on scales that would weigh them - so as to speed up the laborious counting process. However the scales would be set a certain percentage light – so it would weigh a thousand dollars in nickels when in reality there would be only $995. Those extra five dollars, now unaccounted for, soon built up. Below you can check out a trailer for the aforementioned film, "Casino" as well as a short feature on the real Frank Rosenthal. 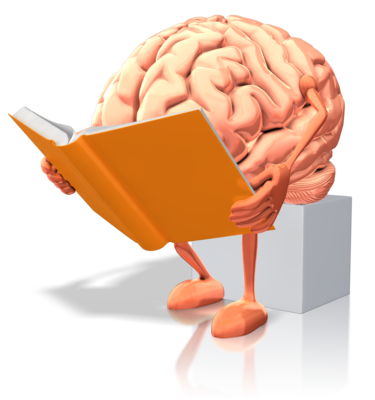 You can also do some further reading about the facts behind the film here. Those Stories About Those Holes In The Desert…? While it is tempting, perhaps even preferable, to imagine that stories about bodies being dumped in “holes in the desert” is just something for the movies, the grim truth is the desert does indeed play host to many who have met an unfortunate and untimely end. 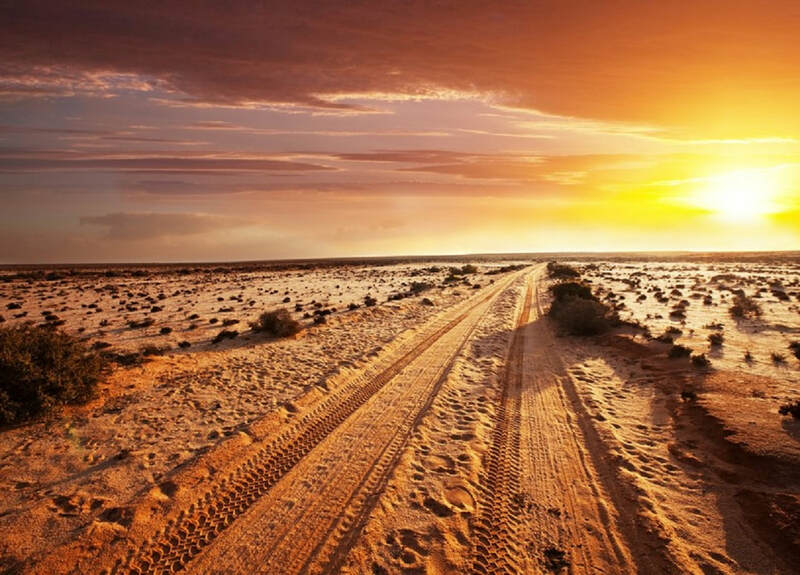 Some have without doubt been tied to organised crime, while others have been “one-off” killings and the desert has provided an ideal place to hide the body. In the extreme case of serial killer, William Floyd Zamastil, who is believed to have killed many young men and women while “drifting” around the desert between Los Angeles and Las Vegas throughout the 1970s. Check out the documentary below that looks at the nuclear testing that was carried out in the Nevada desert in the 1950s. Interesting stuff, if very sobering. ​Can’t C Me? Did Tupac Shakur Really Fake His Own Death?